Allergy Partners of Metro DC (Arlington) - Book Appointment Online! 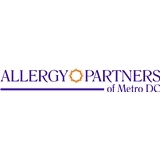 Allergy Partners of Metro DC (formerly Allergy & Asthma Care Centers) has been providing high-quality, comprehensive allergy and asthma care to the surrounding Washington DC area for 17 years. The effects of seasonal, food, and drug allergies can significantly affect a patient’s quality of life. We take great pride in effectively diagnosing and treating our patients to give lasting relief. Our practice features state-of-the-art care for allergy and asthma sufferers, and offers a variety of highly specialized procedures that utilize the latest medical technology. As the area’s largest private allergy and asthma medical practice, we are dedicated to providing and maintaining the highest medical standards in patient care. Allergy Partners of Metro DC believes that serving our community extends beyond delivering great patient care. Dr. Swamy is always great. I've never waited more than 5 minutes to be seen and she really takes the time to listen to you and figure out a solution. Everyone in the office was so great and friendly. They let me know what was going on the whole time and I was surprised or taken off guard. Great visit. Great office!